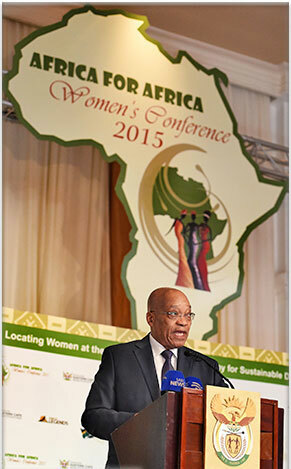 President Jacob Zuma says the African continent must pick up the pace in advancing women to Head of State positions. He was speaking at the Africa for Africa Women’s Conference in Port Elizabeth as part of celebrating International Women’s Day. Themed “Locating Women at the Centre of the Global Economy for Sustainable Development – Make it Happen”, the conference sought to create a vibrant and dynamic network of women leaders and entrepreneurs to actively champion the cause of female emancipation. President Zuma implored African institutions, such as the African Union, to champion transformation that would advance women and improve the quality of life. President Zuma expressed his commitment to working closely with Prime Minister Mosisili to enhance the historical political relations which exist between South Africa and Lesotho, putting particular focus on strengthening economic and social cooperation. On behalf of the Government and people of South Africa, President Jacob Zuma has congratulated Pakalitha Mosisili on his election as Prime Minister of the Kingdom of Lesotho, following the National Assembly Elections held on 28 February 2015. In his message, President Zuma also congratulated the people of Lesotho for conducting a peaceful, transparent, credible, free and fair election as declared by the Southern African Development Community Election Observation Mission. Numerous events and activities will take place in Commonwealth member countries during the course of the year to commemorate Commonwealth day. On Monday, 9 March 2015, the 53 members of the Commonwealth across six continents, celebrated Commonwealth Day. On Commonwealth Day, Queen Elizabeth II, as Head of the Commonwealth, delivered her Commonwealth Day message and led a multifaith observance at Westminster Abbey in London. The theme for 2015 is “A Young Commonwealth”. 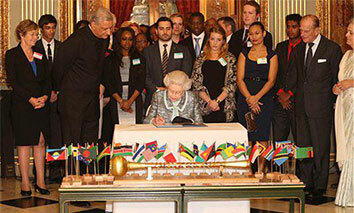 The theme places young people at the centre of empowerment within the Commonwealth member countries. This is very appropriate as people aged 35 or under, account for the majority of the Commonwealth’s population and play a vital role in shaping society. Minister Nkoana-Mashabane’s statement to the HRC covered contemporary issues facing the international human rights system and the agenda of the HRC. 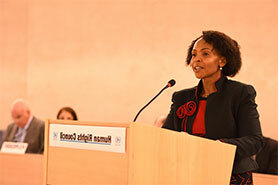 The Minister of International Relations and Cooperation, Maite Nkoana-Mashabane, participated in the High-Level Segment of the 28th Session of the United Nations (UN) from 2 to 6 March 2014 in Geneva, Switzerland. The 28th Session of the HRC met against the background of the Post-2015 Development Agenda and South Africa’s chairing of the Group of 77 plus China (G77), which presented an opportunity for South Africa and developing countries to advocate for and promote issues of development, social integration and the treatment of all the universally recognised human rights and fundamental freedoms on the same footing and with equal emphasis. Furthermore, South Africa plays a leadership role in several intergovernmental processes at the UN pertaining to human rights and social development. In this context, the Minister’s participation enhanced the importance which South Africa attaches to its membership of the HRC, which will end in 2016. As a member of the HRC since 2013, South Africa has consistently participated in all previous high-level segments, thus confirming the seriousness with which South Africa regards the work of the HRC as one of the key UN bodies. Through the event, the Department of International Relations and Cooperation aimed to popularise government objectives in relation to women’s empowerment since 1994, reflecting on the role women play locally and internationally in promoting South Africa’s national interests. 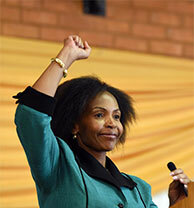 On 8 March, International Women’s Day, the Minister of International Relations and Cooperation, Maite Nkoana-Mashabane, used the occasion to honour struggle heroine Charlotte Maxeke during a public lecture on “Charlotte Maxeke: Diplomat, Activist and Feminist”, at the Wilberforce Community College, Vanderbijlpark, Gauteng. The Minister paid tribute to the different generations of women who played a role in the realisation of the freedom South Africa was now enjoying, through their activism and participation in many community development programmes. “These different generations have played roles in different epochs of South African history. “Today, we celebrate in general the lives and contribution of our heroines Mme Charlotte Makgomo Maxeke, Mme Lillian Ngoyi, Mme Gertrude Shope, Mme Sophia De Bruyn, Mme Ruth First, Mme Ruth Mompati, Mme Rita Nzanga, Mme Winnie Mandela, Mme Albertina Sisulu, Mme Adelaide Tambo and many others who played and still play a role in the development of our people and of our country as a whole. Minister Nkoana-Mashaba also handed over computers to the Charlotte Maxeke Secondary School and the Wilberforce Community Further Education and Training College. The meeting, held under the theme “Regional Strategy and Road Map for Industrialisation”, also focused on the implementation of the decisions taken by the Summit of Heads of State and Government, among other matters. 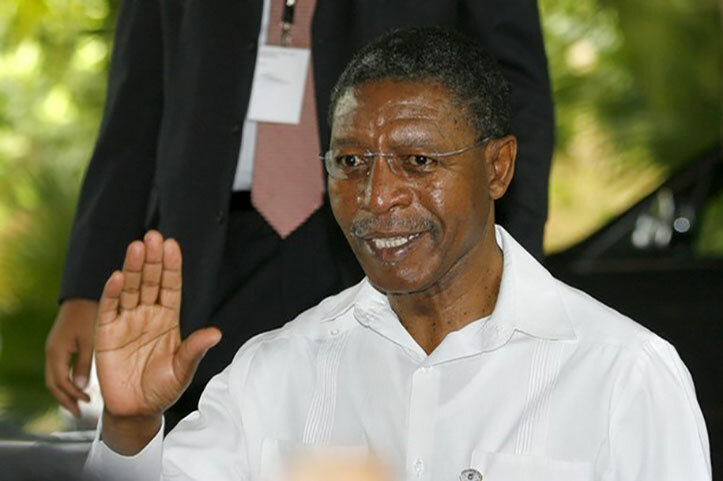 A three-day Southern African Development Community (SADC) Council of Ministers’ Meeting took place in Harare recently to thrash out strategies to speed up regional industrialisation. Zimbabwe, which was elected to the position of SADC chair at the August 2014 SADC Summit of Heads of State and Government, chaired the meeting. The Council of Ministers fine-tuned a five-year road map and strategy for regional industrialisation. The strategy will be presented at the extraordinary summit to be held next month. 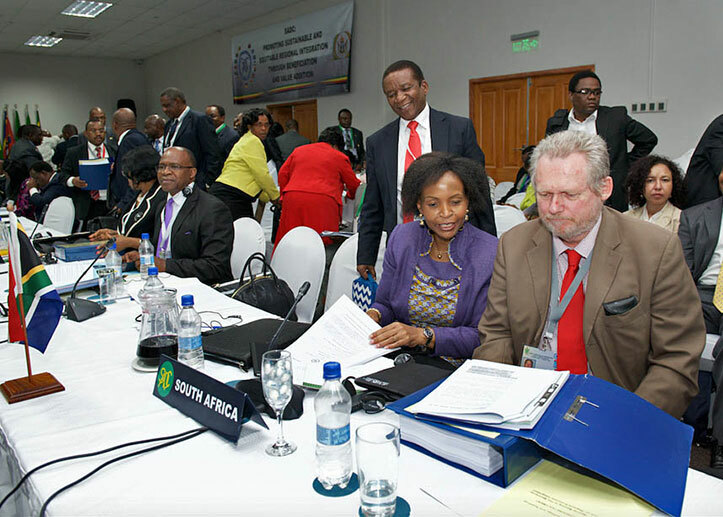 A South African government delegation – led by the ministers of international relations and cooperation, Maite Nkoana-Mashabane, and trade and industry, Rob Davies – participated in the meeting. SADC is the primary vehicle used by the subregion to promote balanced and equitable integration among its member states and to achieve sustainable development, allowing the region to address the key challenge of poverty eradication. 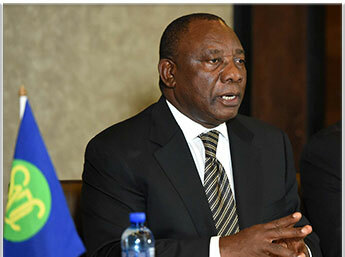 Speaking to the media in Maseru, Deputy President Ramaphosa said the Southern African Development Community (SADC) would continue to provide support beyond the elections to create peace and stability through the Facilitation Mission. SADC is committed to the peace process in Lesotho after the recent parliamentary elections, says Deputy President and SADC Facilitator, Cyril Ramaphosa. This, he said, would include supporting Lesotho as it embarked upon the immediate task of constitutional reforms. The work of SADC will also extend to the critical area of security sector reforms. "We will remain engaged and involved. SADC will seek to assist Lesotho in the next process," said Deputy President Ramaphosa who has mediated the political crisis in Lesotho. He called on political parties in the kingdom to have a dialogue as to what needs to be reformed. The Deputy President praised all the parties for having "participated in a respectful manner" in the elections which, he said, was a true reflection of the will of the people of Lesotho. “The people have spoken and categorically voted for peace and stability. It is now incumbent upon the leadership of political parties to ensure the realisation of the aspirations of the people of Lesotho,” he said. “Just as the world rallied to support South Africa in its struggle against apartheid, we must now give back and support the international movement in solidarity with the indigenous Palestinian people and their progressive Israeli allies,” said Deputy Minister Manamela. 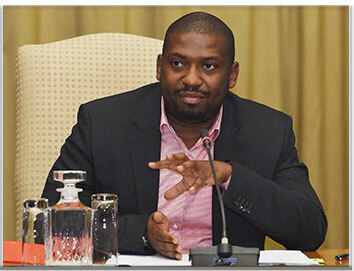 Deputy Minister in The Presidency, Buti Manamela, says South Africa will not rest until the people of Palestine enjoy the same freedom as South Africans. The Deputy Minister joined more than 75 organisations including trade unions, political parties, student bodies and civil-society movements that have endorsed International Israeli Apartheid Week in South Africa. The week-long campaign, which started on 9 March, is aimed at creating awareness among South Africans about the plight of the Palestinians. 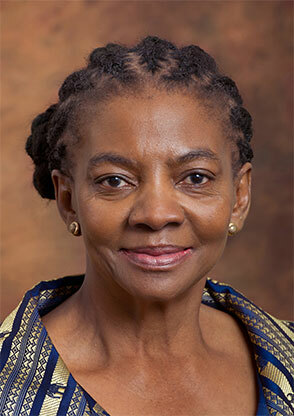 The committee received a brief update recently from the Deputy Minister of International Relations, Nomaindiya Mfeketo, on South Africa’s role in securing the safe release of the girls. About 230 girls were kidnapped last year by Boko Haram and about 40 have either managed to escape or been released close to their homes. The Multi-Party Women’s Caucus has expressed its concern that the majority of girls kidnapped in Nigeria by the militant group Boko Haram have still not been found. The committee was informed that it was agreed that the African Union, as a body instead of individual countries, would continue with efforts to work towards the safe release of the close to 200 girls that were still being held captive by Boko Haram. Committee members expressed concern for the state of the health of the remaining girls. The Deputy Minister was in Chile as part of his three-leg visit to South American countries to boost trade and bilateral relations. He also visited Uruguay and Columbia. International Relations and Cooperation Deputy Minister, Luwellyn Landers, used his visit to Chile to bolster South Africa’s standing as a viable and stable investment destination, saying the country is open for business. 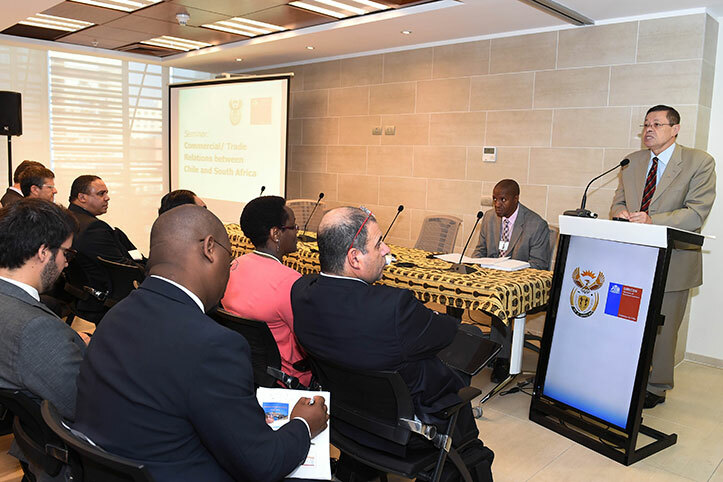 “South Africa is always open for business with every economic sector with a wide range of opportunities awaiting international investors,” Deputy Minister Landers told the economic seminar in Santiago recently. He told the seminar that over the years, representatives of the Department of Trade and Industry (the dti) had visited Chile to explore opportunities for further expansion of South African exports to Chile and potential Chilean investments in South Africa. A key highlight was the successful selling mission from South Africa to Chile during the second half of 2014. “We have also created momentum for increased political and economic consultations,” he said, touching on President Jacob Zuma’s planned visit to Chile. He said the Embassy of South Africa, the Directorate-General of International Economic Relations of Chile, the Chile-South Africa Chamber of Commerce and South African-related businesses operating in Chile, through their various activities, were expected to realise substantial growth in bilateral trade in the next years. Chile and South Africa will also continue to pursue opportunities in various countries by reciprocally attending trade fairs and shows. The MoU, concluded on the sidelines of the Prospectors and Developers Association of Canada Conference, was signed by the Minister of International Trade, Ed Fast, on behalf of the Canadian Government. The Minister of Mineral Resources, Ngoako Ramatlhodi, has, on behalf of the South African Government, signed a MoU with Canada on cooperation in mining and mineral development. “Minister Fast and I affirmed the commitment of partnership between our governments when we signed this MoU,” Minister Ramatlhodi said. The MoU entails cooperation between South Africa and Canada in encouraging increased reciprocal investment in exploration and prospecting activities, with a particular focus on the junior to mid-tier mining sector. The MoU further asserts intent on cooperation and collaboration in the areas of skills development, technical expertise and experience as well as value addition and beneficiation. Minister Muthambi was one of the panellists speaking about the role of the public media service and challenges of the digital arena in government and communication. The Minister participated in the discussion panel together with ministers and spokespersons from Morocco, Lebanon, India and Egypt, among others. 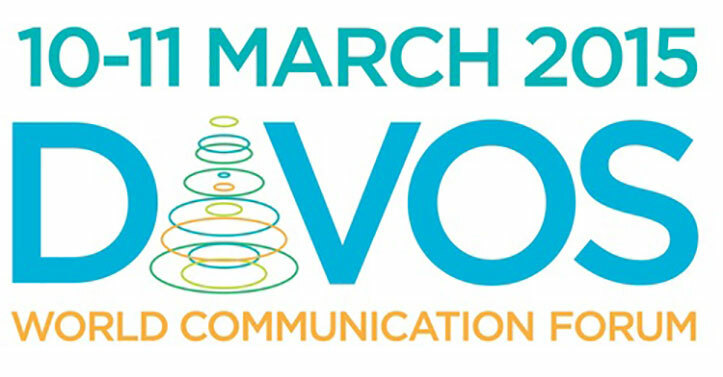 The Minister of Communications, Faith Muthambi, joined other experts this week when she attended the World Communication Forum in Davos, Switzerland, from 10 to 11 March. The purpose of the forum is to unite trend-makers and influencers from the global communication elite and provide a platform for discussion focused on the future development of communication and its role. The summit, which was addressed by various speakers, including but not limited to the World Health Organisation; British Litigation Authority; Medical Protection Society; Road Accident Fund, etc. deliberated on how to prevent medico-legal litigations in the South African health sector, both public and private. 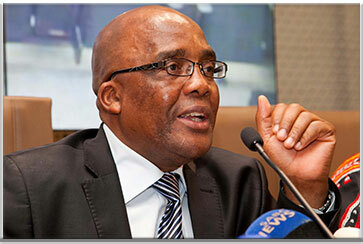 The rising number and impact of medico-legal claims in South Africa had spurred the health industry into united action with the Minister of Health, Aaron Motsoaledi, convening the first Medico-Legal Summit from 9 to 10 March 2015.
access to justice for patients. According to Minister Davies, part of the department’s mandate is to contribute towards the positioning of South Africa as a reliable trade partner by expanding the exporter base of the country, thereby increasing the export supply and sales of South African products. The Department of Trade and Industry (the dti) will again participate in national and international exhibitions, trade shows and pavilions in different countries to promote market access and showcase South African products and services. This is part of the department’s strategy to promote value-added goods and services abroad by broadening the export base, increasing market share in targeted high-growth markets and sustaining market share in traditional markets. The Minister of Trade and Industry, Rob Davies, says South African companies are once again invited to participate in these exhibitions for the new financial year 2015/16, which starts in April 2015. He adds that the department will again continue to lead business delegations in the different sectors to part-take in these platforms to ensure that its objective of improving trade between South Africa and the world is realised. “the dti oversees the implementation of the National Exporter Development Programme, which seeks to enhance the national export culture through an extensive capacity-building initiative called the Global Exporter Passport Initiative as well as an effective and efficient National Trade Information System,” adds Davies. Minister Davies urges South African companies to utilise the host of incentives available from the dti to access opportunities provided and contribute to building the economy of the country. “Among the many incentives that are available to assist manufacturers and emerging exporters in the dti is the EMIA scheme, which develops export markets for South African product and services and recruits new foreign direct investment into the country,” he adds. The list of upcoming exhibitions, trade shows and national pavilions is available on www.thedti.gov.za/invitations/national_pavilion2015.pdf. The 30% Club is a group of chairpersons, CEOs and senior partners of organisations internationally that is committed to bringing more women onto boards because they believe it’s good for the overall effectiveness of the boardroom, and therefore good for business. Focus is also placed on the executive pipeline to create sustainable change. The Minister in The Presidency responsible for Women, Susan Shabangu, has challenged the 30% Club Southern Africa to increase its targets for women representation. Addressing captains of industry from southern Africa and overseas at the inaugural 30% Club Southern Africa Members Dinner recently, the Minister said 24 years ago the, 49th National Conference of the African National Congress (held in Durban) adopted a resolution enforcing 30% women representation in all its leadership structures. However, in 2007 at its 52nd National Conference, it increased women representation to 50%. “It is within this context that I submit that 30% was in fashion 24 years ago. We have moved beyond 30% in the arena of women’s representation and have moved to 50%. “I think it is also possible for the 30% Club to move the scale higher and become the 50% Club. 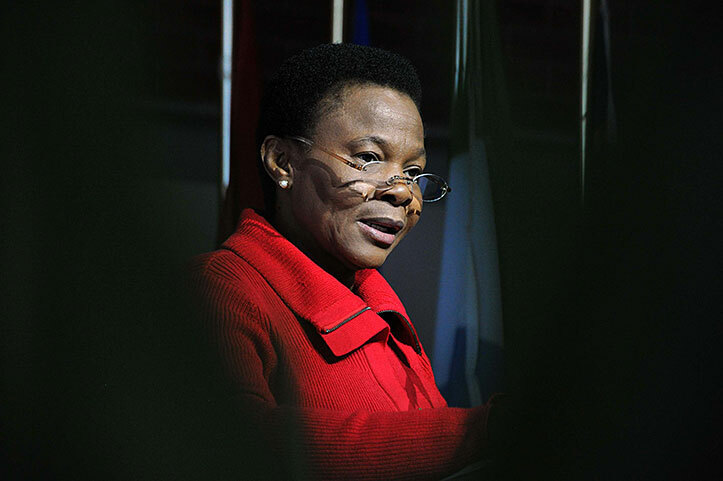 May I use this opportunity to challenge the 30% Club to join the African Union in ensuring 50% women representation by 2020,” Minister Shabangu said. Already over 200 senior business leaders of global companies such as Anglo American, Old Mutual, Boomberg, Goldman Sachs, Coca Cola and Rolls Royce have joined the club. The aim is to achieve the 30% goal of women on boards by 2015 in certain countries and others, including South Africa, by 2018. The arrival of the team follows a technical agreement that was signed between the two armed forces under an existing Military to Military Agreement, the Department of Defence said recently. 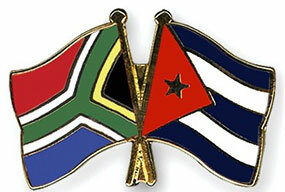 A technical team from the Cuban Revolutionary Armed Forces has arrived in South Africa to help the South African National Defence Force (SANDF) to service and maintain its military vehicles and build internal technical capacity. The technicians have already started working in various centres of the SANDF across the country. “This agreement is set to create an internal pool of technical skills in the SANDF, which will enable the Defence Force to properly service and maintain its vehicles. Since the arrival of the Cuban mechanics, there has been a markedly increased manner in the servicing of vehicles,” spokesperson Siphiwe Dlamini said. 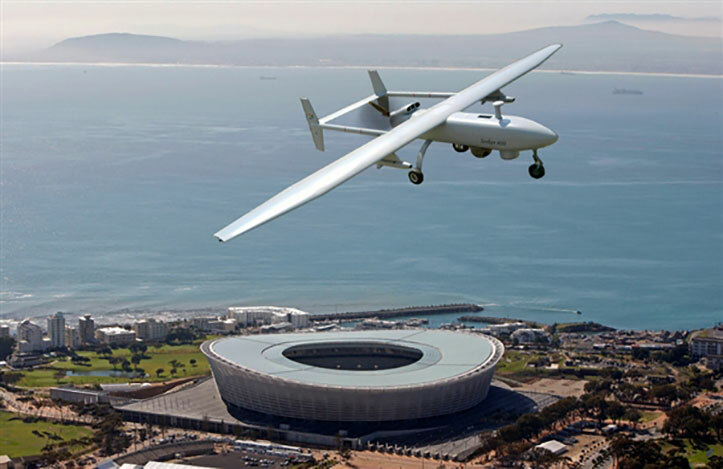 The use of drones is currently illegal in South Africa, as they do not comply with the South African Civil Aviation Authority’s (SACAA) existing requirements for aircraft operations. The SACAA has submitted draft regulations for the use of drones in civil airspace to the Minister of Transport, becoming one of the first regulatory bodies worldwide to do so. While previously information from the SACAA referred to drones as Unmanned Aerial Vehicles or Unmanned Aircraft Systems, the draft legislation now references skilled control by calling it Remotely Piloted Aircraft Systems (RPAS). The SACAA decision to draft specific regulations for the device, comes after an outcry against the ban on these devices by recreational and professional drone operators. In April 2014 the regulatory body said that drone operators could be hit with fines of up to R50 000 or a jail term of up to 10 years. “The SACAA is one of the very first entities globally to make headway in terms of developing comprehensive regulations." Since its establishment, the United Nations (UN) Expert Group has been negotiating change proposals using international best practices, various national legislations and international laws governing the incarceration of those in conflict with the law. 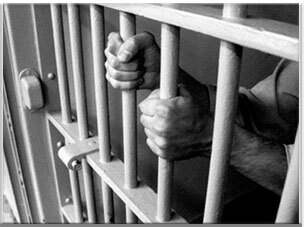 South Africa recently hosted a four-day meeting of the Intergovernmental Expert Group on the Review of the Standard Minimum Rules for the Treatment of Prisoners (SMRs) in Cape Town. The meeting of the UN Expert Group was the fourth session of the UN Expert Group established by the UN Commission on Crime Prevention and Criminal Justice (CCPCJ) to revise the SMRs. The Expert Group of officials from various countries of the world held its other meetings in Vienna, Austria, from 31 January to 2 February 2012; in Buenos Aires, Argentina, from 11 to 13 December 2012; and in Vienna from 25 to 28 March 2014. 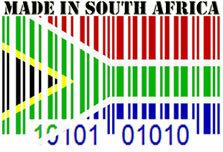 South Africa agreed to host the fourth meeting and over 41 countries were represented at the Cape Town meeting. The Expert Group is working on reaching a consensus on identified areas and specific rules for revision. SAA Cargo is a division of South African Airways, focusing on airfreight movement worldwide. 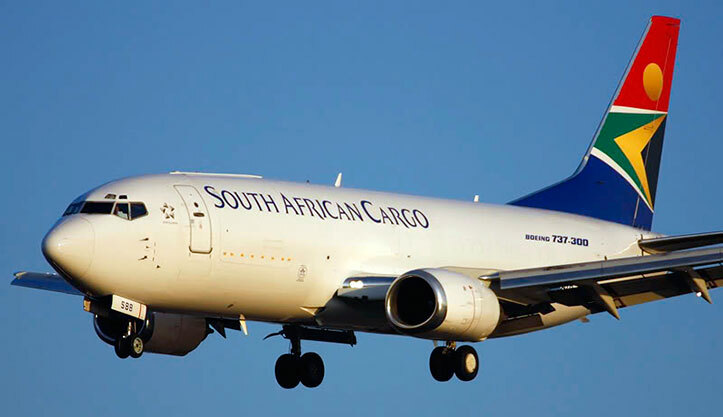 South African Airways Cargo has won the African Cargo Airline of the Year Award. SAA Cargo was crowned the winner at the STAT Times International Awards for Excellence in Air Cargo at an awards ceremony in Johannesburg. The STAT Times International Award for Excellence in Air Cargo is awarded every two years as part of the Air Cargo Africa event. The award was instituted by the STAT Trade Times, the flagship publication of STAT Media Group, an international multimodal transport media house based in India. The International Hospital Federation is a global independent, non-profit, non-governmental organisation for hospitals and healthcare organisation. Cabinet approved for the International Hospital Federation's 40th World Hospital Congress to be held in Durban towards the end of 2016. The annual congress affords the health practitioners an opportunity to share best practice methodologies/approaches to improve healthcare outcomes. The new exhibits will focus on a brief historiography of Umkhonto weSizwe (MK) and the London Recruits, who were recruited by Ronnie Kasrils. Members of the London Recruits attended the launch. 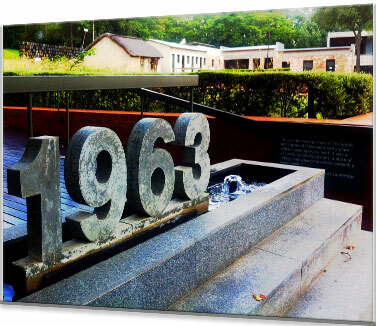 On 6 March 2015, the Liliesleaf Trust opened new dynamic interactive exhibits which highlight the history, role and involvement of MK in the liberation struggle. Given that Liliesleaf was the birthplace of MK, it is fitting that Liliesleaf captures, recalls and tells the story of MK. The opening of the new MK exhibits is in keeping with Liliesleaf’s object, goal and aim to preserve and ensure that the memory of the liberation struggle and the many diverse stories, testimonies and events are not forgotten. These exhibits provide a critical and essential platform to ensure that those testimonies and stories that have been captured are made accessible, conveyed, told and brought to a broader audience. "Our presentation was professional, dynamic and captured the vibrancy of Durban while at the same time showcasing the city’s world-class sports facilities," said Mark Alexander, chairperson of the Durban 2022 bid committee. The City of Durban’s Commonwealth bid committee has lodged an impressive and compelling presentation to the executive committee of the Commonwealth Games Federation (CGF) on 2 March at Mansion House in London. Durban’s bid committee was headed by the Minister of Sport and Recreation, Fikile Mbalula, Mayor of Durban, James Nxumalo, MECs from the province, as well as official sports ambassadors, Cameron van der Burgh, Khotso Mokoena and Dyan Buis. The bid lodgement in London was the first of the milestones that the City of Durban will address as part of the official process with the CGF. Alexander added that South Africa’s National Development Plan (NDP) and the National Sport and Recreation Plan (NSRP) underpinned the decision to bid for the 2022 Commonwealth Games. 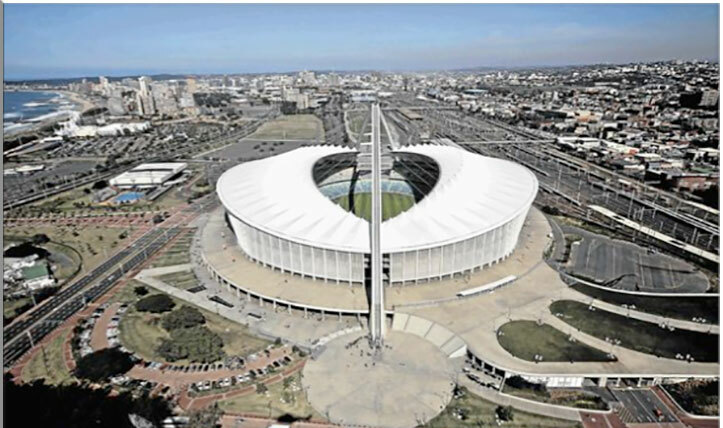 Moses Mabhida Stadium, Durban International Convention Centre, Durban Exhibition Centre, Kings Park Rugby Stadium and the University of Kwa-Zulu Natal have all been pegged as potential venues for the Games. Hosting of these games can potentially create approximately 11 650 jobs and boost the country’s economy by an estimated R20 billion. Another legacy of the Games will be an integrated public transport system for Durban for which the plans have already been approved. Tete retained his IBF world junior-bantamweight crown by knocking out previously unbeaten British star Paul Butler in eight rounds at Echo Arena in Liverpool recently. Traffic came to a standstill in East London as throngs of people welcomed world boxing champion Zolani Tete back from his successful trip to the United Kingdom on 9 March. Tete, 26, put in an almost punch-perfect performance to give Butler little chance of winning his second world title at a lower weight. The South African had nine birdies and a single bogey in his final round to finish on 24-under 264 overall, well clear of England's Matt Ford (67) in second on 19 under. Trevor Fisher Jr finished with a 64 to pull away from his challengers and win the Africa Open by five shots on 8 March for his first European Tour title. 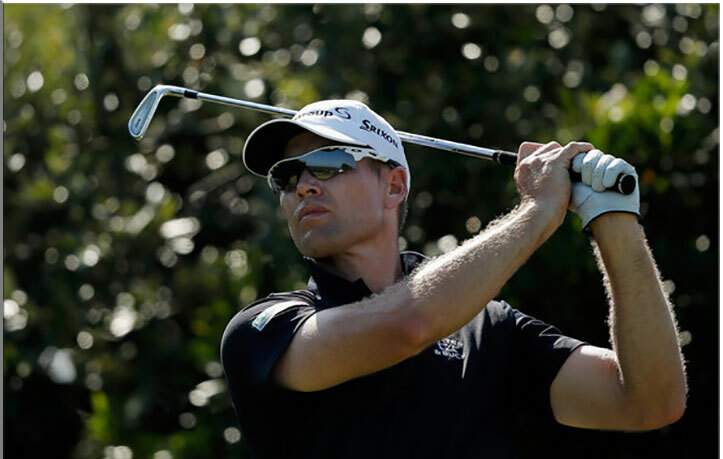 Eduardo de la Riva, Jorge Campillo and Morten Orum Madsen were a further three shots behind Ford at East London Golf Club. They all carded final-round 66s. The 35-year-old Fisher shot scores of 63 and 64 over the weekend for his maiden tour title.